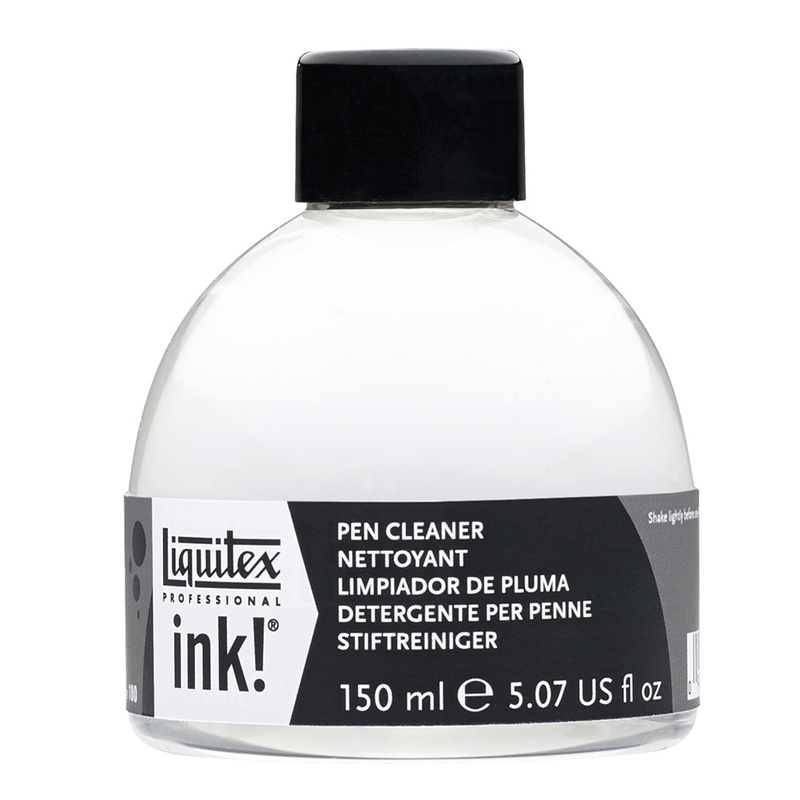 Liquitex Professional Acrylic Ink Pen Cleaner is ideal for cleaning acrylic ink from paint brushes, technical and dip pens and airbrush parts. Simply rinse them with a small amount of pen cleaner to remove ink. Should some ink dry on your brushes or nibs, soak the items in Liquitex Professional Ink! Pen Cleaner for a few minutes and then rinse with water.